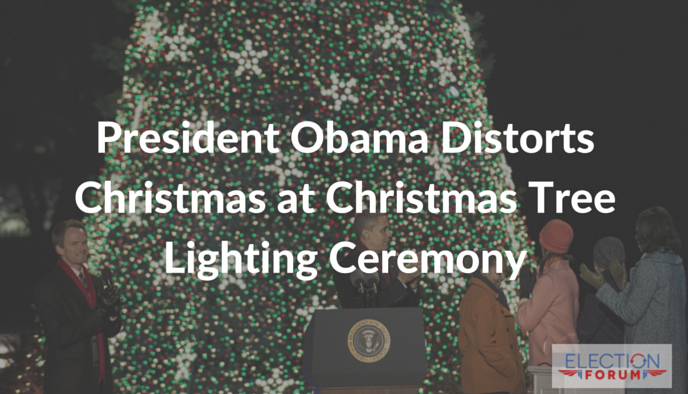 President Obama distorted and misrepresented Christmas at the Christmas Tree Lighting ceremony in two ways. Christmas is about the miraculous birth of Jesus Christ, God’s son. Emmanuel, God with us. At Christmas we celebrate the son of God, the divine gift for salvation… Only though Christ is salvation possible. 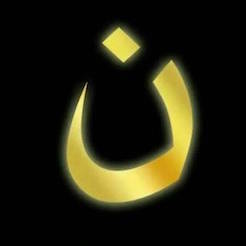 The President called this a “common humanity”… but Christ’s values are not the world’s. His mission is one of transformation that is unique…the world’s values are different. Are we totally out of real Americans in the Washington government? This individual has broken so many laws and showed so much disrespect for the American people that impeachment procedures should of been started the first 6 months of his so called presidency. There is nothing Christian about the man nor can the word religious be accredited to him. For both have beliefs and respect that they live up to. Someone once wrote “When you’re so wrapped up in yourself, you start thinking you are a god, and thats when the devil show up in you” What a description of a man who can’t talk positive about anything that is true American. Amen, Ray!!! Finally, there’s someone who sees through the devil’s lying ways. President Obama is a demon in disguise. I don’t understand why this evil President hasn’t been impeached yet. I guess him calling Jesus a “prince” like Islam teaches, an not the “King of Kings and Lord of Lords” doesn’t mean anything to anyone??????????? ?